We started off with 12, and now there are two; the two we expected, the two we wanted as reigning champions Exeter Chiefs seek to defend their crown against a Saracens side determined to reclaim the crown they last won in 2016. It promises to be more than a mouthwatering encounter at Twickenham Stadium on Saturday afternoon as undoubtedly the two leading lights of English rugby stand toe-to-toe, with the crown of kings of England out there for the taking. Saracens had a mixed start to the season, but as so often is the case, when Mark McCall’s men gather momentum, they become the runaway train and their 57-33 thumping of last season’s runners-up Wasps in the semi-finals last weekend was evidence of the potent force they are when on song. More impressively, Saracens, who it is fair to say have struggled for discipline at times this term, offered up a first 25 minutes which was practically error-free – another suggestion they are back to their omnipotent best. However, they come up against an Exeter Chiefs side who know what it is time win on the big occasion, triumphing over Wasps in extra-time last season in a spectacular show of power and panache. Rob Baxter’s Chiefs also know how to best Saracens having done it so well in the semi-final last year – and this year’s final boasts a vast array of talent with a who’s who of English rugby lining up for some key duels. One of the most eye-catching battles on Saturday will be the locking of horns between Billy Vunipola, roaring back from injury, and Sam Simmonds, the Chiefs number eight who stormed onto the international scene in the wake of Vunipola’s injury. Vunipola has 96 Premiership appearances to his name as well as 34 England caps with 14 tries under his belt in the top flight, yet Simmonds has already amassed 15 scores in just 23 Premiership outings, but who will come out on top this time around as the two box-office back-rows do battle? 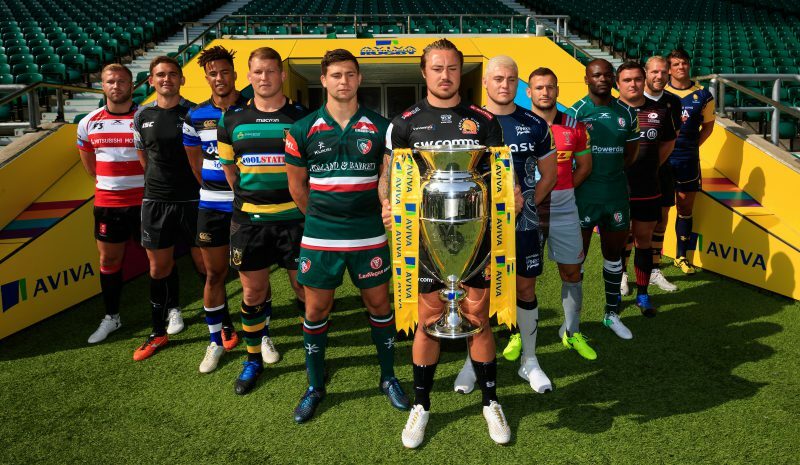 With Saracens fielding Owen Farrell, Maro Itoje, Jamie George and Mako Vunipola also, while Exeter Chiefs have the wealth of talents including Don Armand, Henry Slade, Luke Cowan-Dickie and Jack Nowell at their disposal, this Premiership final is set to be one to remember. Whatever the result, this game will be a remarkable advert for Premiership rugby and a fantastic flag-flying moment for the competition and it will be even more explosive should the sun shine on rugby HQ this weekend. Exeter Chiefs have been the Premiership side to beat for the last 18 months or so, but Saracens have come back to their all-conquering best, which could just see them over the line as they will refuse to relent and stop short at nothing to overcome in what will be a hard fought tussle.